How does our green carpet and upholstery cleaning work? At One Minute Dry Time, our GREEN carpet cleaning method utilizes organic sponges to get your carpet and upholstery cleaner than it’s ever been. This 100% organic compound has a moisture content equal to one teaspoon per square foot once it is applied to carpet surface. The organic cleaning process we use is made of citrus, which is one of the best degreasers out there. Why do you need a degreaser? Built up embedded oils make up 90 % of the content on your high traffic areas. Most of the natural oils come from walking on bare feet or using shoes in the home that are also used outdoors. 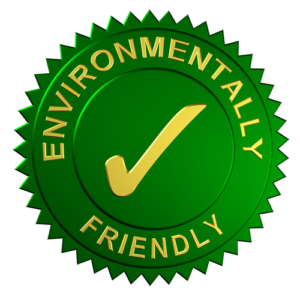 Our quick dry carpet and upholstery cleaning system will keep your home environmentally sound and creates a healthier environment for you and your family. Our Certified Carpet Care Specialists prep the area for professional cleaning by moving some or ALL of your furniture based on your request and/or our recommendation. Our Certified Carpet Care Specialist applies a special pre-spray treatment to all spots and stains in addition to your heavy traffic areas. While the pre-spray is working, our Certified Carpet Care Specialist then applies our DRY and ORGANIC carpet cleaning sponge compound. 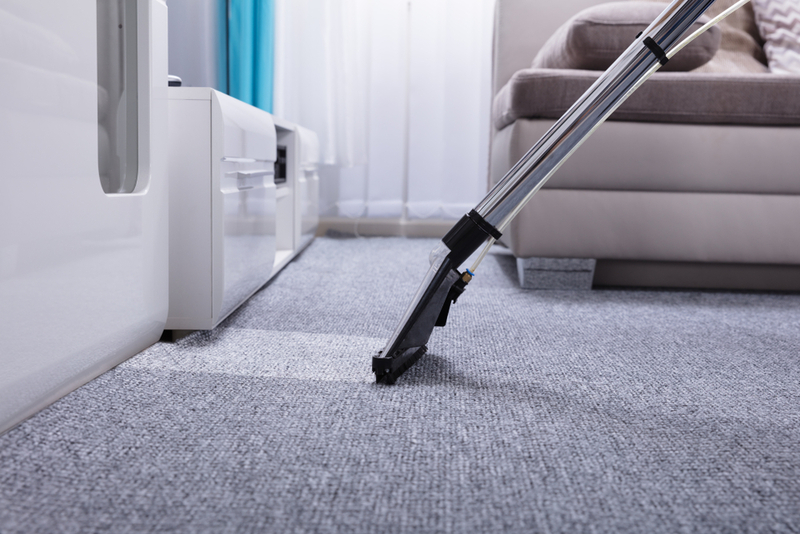 Next, our Certified Carpet Cleaning Specialist uses our Dry Carpet Cleaning Machine to gently massage the sponges up and down the carpet fibers. This exfoliates the carpet fibers to naturally release the soil, oils, pet odor and allergens, bacteria, mold, mold spores, dust mites, & spots which are then absorbed into the sponges. We make at least 2 passes in each area to ensure the most thorough and healthy cleaning. This green cleaning process provides a far better carpet cleaning than can be achieved through using a steam process. The HOST® System of applying HOST Dry Carpet Cleaner to the carpet, brushing it through the carpet and then vacuuming up the HOST Dry Carpet Cleaner removes dirt and reduces allergens. Research studies have shown that one cleaning with the HOST System using HOST Machines reduces: Dust mites by 78%, Dust Mite Allergen by 75%, Cat Allergen by 85%, Mold Spores by 85%. EPA Establishment Number: 074202-WI-001. Our Certified Carpet Care Specialist finishes by turning on the vacuum portion of the Dry Carpet Cleaning machine. They will repeat the same opposite passes that were made during the green clean carpet cleaning process. This removes the organic sponges after they’ve finished doing their job. Your traffic areas are now brought back to life. Spots that were removed, never come back… ever. Our carpet cleaning service really works! Plus, with our Organic Dry Carpet Cleaning System your investment will last longer, and is the healthiest and cleanest that it has ever been! Check out our video on our home page for a free video demonstration! Seeing is believing. We offer the Best Oriental Rug Cleaning Service! Don’t even think about taking your oriental rugs to be dry cleaned. Our organic Carpet Cleaning System is perfect for cleaning your Natural Fiber Carpets. Our green system works on Wool, Cotton, Sisal and Oriental Area Rugs right in your own home! 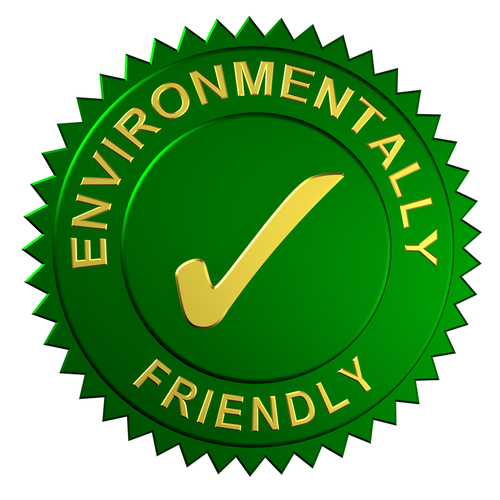 One Minute Dry Time’s Green Carpet Cleaning uses the only full rug cleaner system with the stamp of approval from the International Woolsafe Organization. 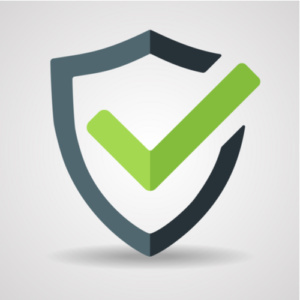 HOST Dry Carpet Cleaner has been tested and is approved by the WoolSafe Organization. For synthetic fibers our natural cleaning is very similar, except that our Certified Carpet Cleaning Specialists will apply our organic sponges liberally and not use any pre-sprays unless it is absolutely necessary. All of our pre-sprays are safe for wool, but we like to keep moisture to an absolute minimum which helps extend the life of your oriental area rugs and natural fiber carpets. Plus our system is quick dry, so you can walk on your rugs immediately. Do you have dry clean ONLY or Shampoo Based Fabric? There are many different types of upholstery fabric out there with a multitude of different types of cleaning methods. The first, and most popular method of cleaning, is shampoo based and second is the Dry Cleaning Method, which also uses a solvent. Most people do not know the difference nor which type upholstered furniture they have and therefore, which type of cleaning method they should use. Our Certified Upholstery Specialist uses a state of the art quick dry carpet and upholstery system capable of cleaning both shampoo and dry clean only fabrics. You no longer need to worry about which method is right for your upholstery. Our system won’t hurt your upholstery, and it leaves behind a fresh, citrus scent. Don’t forget, having your upholstery cleaned at least 2 times per year creates a healthier home! We spend a good amount of time searching and going from showroom to showroom in order to find just the right furniture for our homes. You may have even hired and paid for the experience of an interior designer to come and furnish the interior of your home for you. In the end, this is an investment that you want to last. All to often people wait years before they have their upholstery cleaned. This has an adverse effect on the fabric and the health of your home. Your upholstery, like carpet, assists in filtering out fine particles and pollutants from the air. Your furniture also collects and holds onto a portion of the 13 – 15 pounds of skin every person in your home sheds per year, creating a habitat for dust mites. As the upholstery is used, natural oils from your skin and hair soak into the fabric. Not to mention the natural oils from pets, if you have them. Waiting until your upholstered areas are very dark is waiting to long. This is damaging to the fabric of your upholstery and is a breeding ground for bacteria and germs. Like any filter, your furniture must be cleaned on a scheduled maintenance calendar. The particles, pollutants, and dust mites that collect in your upholstery have an adverse affect on your health. These pollutants need to be removed from your upholstery to keep you healthy. The oils that have built up over time in and on the surface of your upholstery are a breeding ground for bacteria and germs, these need to be removed too! You will have peace of mind when your upholstery is cleaned with One Minute Dry Time Green Carpet Cleaning using our state of the art Upholstery cleaning system. You will be cleaning an air filter, or what we call a health filter. Letting us clean your upholstery and carpets will create a healthier indoor environment for you and your family, as well as, extend the life and beauty of your investment. We are a Professional Upholstery Cleaning Company, too. Our upholstery cleaning system works wonders on your upholstery, without the chemicals that can be found in other upholstery cleaners solvents. Our systems allows your furniture to dry within 1-2 hours and leaves your home smelling clean and fresh. Plus, our green cleaning solution is powerful enough to get deep down dirt out – yet gentle enough to be safe for your entire family, including your pets and kids. Our citrus cleaning solvent combined with our extraction equipment works beautifully to remove pet dander, dust mites, and other allergens from your home. Yet it will still provide you with an exceptional clean that can’t be beat. Plus, it doesn’t leave behind any sticky solvents that will adhere to future dust and dander, leaving your upholstery the cleanest it can possibly be – until we come clean again. Don’t forget, your satisfaction is guaranteed. Upholstery Cleaning Services which includes difficult to clean upholstered furniture fabrics like microfiber and suede. We also have the solution you need to clean red wine stains from upholstery. Our cleaning service is the best way to clean fabric upholstery and will leave your home smelling like citrus. Professional Leather and Velvet Upholstery Cleaning. Yep. Our products work very well when it comes to leather and velvet upholstery. Our green cleaning solution is so gentle it can even be used on velvet and silk. Oriental Rug Cleaning. Our upholstery cleaner works great on your difficult to clean oriental rugs. It’s gentle and our products will make your oriental rugs look and smell like new! They’re even safe enough for cleaning silk oriental rugs. Our system is especially effective at cleaning pet odor from your oriental rugs which includes cat and dog urine. Area Rug Cleaning. Wool, Cotton, Sisal, and Jute area rug fibers can also be cleaned using our system. Couch cleaning is our specialty. With our green clean system, we can clean hard to care for couch fabrics like microfiber, suede, velvet, silk, leather, and most other fabrics. You’ll couches won’t hold the water or wine stains when we’re finished. Plus, the dead skin and dust mite allergens will be removed too. Let’s create the cleanest environment possible for you and your family. Tile and Grout Cleaning is a very important part of the maintenance of your home. Most people neglect this and do not realize the build up that has occured over the years. This is not healthy for you, your family, or your pets. Our Certified Tile and Grout Cleaning Specialists will remove all furniture from the area to be cleaned and then, using a pump sprayer, apply our special alkaline based cleaning solution to the grout and tile surface. Once the cleaning solution has had time to do its job, our specialists will begin the cleaning process using THE TERMINATOR cleaning system that produces over 1,000psi of water pressure. Using specialized attachments for this system, the specialists will power wash your tile and grout. While your tile and grout is being super cleaned, the same equipment and attachments vacuum up the water simultaneously. The only moisture left behind is then towel dried. Now that the cleaning process is complete and dry, your tile is clean and ready to be sealed. Each grout line is individually sealed, protecting the beauty and life of your tile and grout. Learn more on our Tile & Grout Website. I hired them to clean carpet and tile in my condo. When booking the appointment, Bobby asked lots of informed questions about the content of the pet stains I was worried about and was clear about the cleaning process. They arrived within the window of time scheduled, called to let me know they were en route, and were extremely pleasant and professional on the phone and in person. All of the staff I talked to knew a lot about removing pet stains of all sorts. Their method involved no chemicals and no steam so I could walk on the floors immediately. I recommend them enthusiastically! The customer service is great. One Minute worked with my schedule and even helped me find a carpet stretcher/repairman. Tony and his team did a great job. I love the dry method of carpet cleaning. The carpet was clean and dry within an hour of service. Contact us to discuss your carpet and upholstery cleaning needs! One Minute Dry Time is independently owned and operated and provides carpet, tile & grout, and upholstery cleaning in Naples, Marco Island, Bonita Springs, Estero, and Fort Myers, Florida. Call us at (239)514-3218 to schedule your carpet, tile & grout, or upholstery cleaning today!